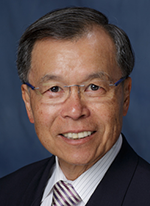 Tetsuo Ashizawa, MD, formerly the executive director of the McKnight Brain Institute at the University of Florida, organized and developed interdisciplinary neuroscience research programs involving multiple colleges and departments. He also chaired the neurology department at the University of Texas Medical Branch and at the University of Florida, where he supervised the clinical care of and research in a variety of neurological disorders. As a physician-scientist, some of Dr. Ashizawa’s current research is funded by the National Institutes of Health, the Muscular Dystrophy Association and the Myotonic Dystrophy Foundation. He is studying neurogenetic disorders caused by expansions of DNA sequences that are connected end-to-end and abnormally repeated, such as myotonic dystrophies, spinocerebellar ataxias, Friedreich’s ataxia, and Huntington’s disease. Dr. Ashizawa received his medical degree from the Keio University School of Medicine in Tokyo. After moving to the U.S., he completed his neurology residency and Muscular Dystrophy Association fellowships in neurochemistry and clinical neuromuscular disorders at Baylor College of Medicine. Dr. Ashizawa is board certified in neurology by the American Board of Psychiatry and Neurology. He serves on multiple grant review panels, including NIH study sections, and on the scientific advisory boards of the Myotonic Dystrophy Foundation, the National Ataxia Foundation, and the Association Française contre les Myopathies. Dr. William G. Ondo is the director of the Movement Disorders Clinic at the Houston Methodist Neurological Institute. 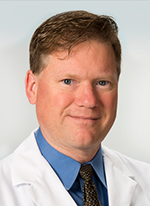 Dr. Ondo has been in practice for nearly 20 years and specializes in diagnosis, treatment and research of Parkinson’s disease, essential tremors, the use of botulinum toxins in treating movement disorders, and restless legs syndrome. Dr. Ondo earned his medical degree from the Medical College of Virginia before completing an internship at the University of North Carolina Hospital, a neurology residency at Duke University, and a movement disorders fellowship at the Baylor College of Medicine. He is board certified by the American Board of Psychiatry and Neurology in adult neurology and sleep medicine. He has authored more than 250 original articles and book chapters as well as edited two books on movement disorders. He currently serves as the president of the Tremor Research Group.